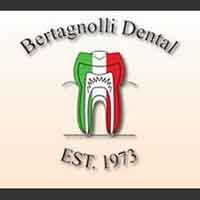 What sets Bertagnolli Dental apart from all the rest? Our experienced and friendly staff will make you feel welcome the minute you walk in our door. We offer a comprehensive list of general and cosmetic dental services to meet the needs of your entire family. As one of the best family dentists, we have your best interest at heart. We utilize state-of-the art technologies and techniques, to provide the utmost in dental care. Some of the services we provide include teeth whitening, crown, general check-ups/teeth cleaning, implants, veneers, dentures and sedation dentistry. Our professionals give you the personal attention you deserve. We know finding the best family dentist can be a challenge. Our comprehensive list of services will fit your entire family. See why our patients recommend us. If you are looking for the best family dentist call and schedule your appointment today.